Are genes that alter the perception of fat making us fat? People the world over are getting fatter. Today more than one-third of adults in the United States are obese, and the rates in other industrialized countries are catching up. Obesity is no longer considered a condition particular to affluent societies—it has now spread to developing nations such as China and India, resulting in a global health crisis. According to the World Health Organization, 500 million adults worldwide are now obese, and this number is expected to climb well into the foreseeable future. 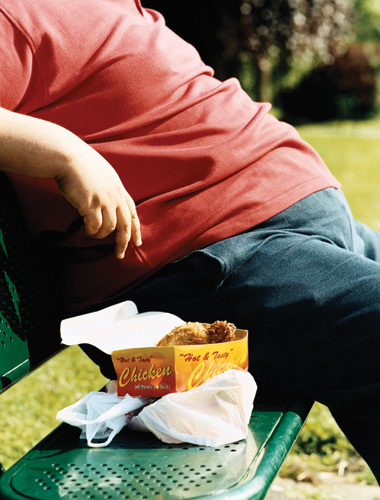 Obesity is so problematic because it poses serious threats to personal health and well-being. Obese people are at an increased risk of chronic and potentially debilitating diseases such as cardiovascular disease and stroke, certain forms of cancer, type 2 diabetes, osteoarthritis, and asthma, among others. And the impact of obesity on an individual’s work and family life can be far-reaching, affecting a person’s employability, work productivity, and ability to pursue interests and activities of daily life. 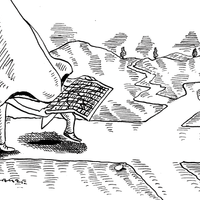 Although the consequences of obesity are clear, its origins are poorly understood. Since our genetic makeup has not changed appreciably in the past 30 years, changes in the food environment have been identified as causing much of the dramatic rise in obesity rates that began in the 1980s. Our food environment is often described as “toxic,” meaning that our constant exposure to palatable, high-fat, and energy-dense foods, coupled with a sedentary lifestyle, is likely making us fat. Nevertheless, despite access to the same foods, not everyone becomes obese. And so, genetic variation must also play a role, rendering some people more vulnerable to caloric excess, and resulting in a range of body weights. Identifying the genes that are making such individuals more susceptible to weight gain is critical to understanding the basis of obesity as well as devising strategies to combat the condition. Conspicuously absent from the list of obesity genes are genes involved in taste. A great deal of progress has been made in identifying the genes that may contribute to obesity. According to recent estimates, 135 different candidate genes have been linked with obesity and the eating patterns associated with it.[1. T. Rankinen et al., “The human obesity gene map: the 2005 update,” Obesity, 14:529-644, 2006.] Except for a handful of single-gene mutations that produce extreme obesity, the common, everyday form that we typically encounter on a city street probably reflects very modest contributions from each of a large number of individual genes. Many of the genes implicated in obesity modify how energy is spent, how fat is metabolized and stored, and how nutrients are partitioned. Conspicuously absent from the list of obesity genes are genes involved in taste. According to consumers, “taste” (loosely defined here as the composite of the taste, smell, and texture of a food) is one of the top three factors guiding food choices, along with cost/convenience and nutritional content. 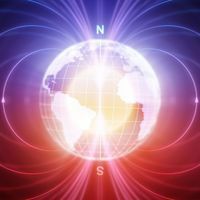 Throughout human history, chemosensory cues have helped us navigate the uncertainties of the natural environment, where many of the available food choices may have been toxic. Moreover, the ability to recognize important nutritional components such as fats, carbohydrates, and salt, which were often limited in the food supply, would have been critical to our survival. Ironically, genetic variation in taste, which served us well in the preindustrial era when cycles of feast and famine were the rule, may be conspiring against us in the modern age when we have continuous access to highly palatable, energy-dense foods. For the past 15 years, our laboratories have been studying the impact of taste genes on food preferences and their contribution to diet selection and body weight. Though it may not be a taste in the traditional sense of the word, recent studies point to evidence that humans can in fact perceive fat, and that this perception may affect our food choices. For historical reasons, the major focus of this work has been on the bitter taste gene TAS2R38, which controls the ability to taste the thiourea compounds 6-n-propylthiouracil (PROP) and phenylthiocarbamide (PTC). Taste blindness to PTC was first recognized in the 1930s and remains one of the best-studied taste traits in humans. The ability to taste the bitterness of PROP has gained recognition as a general marker of oral sensory abilities that could have particular relevance for understanding the perception and acceptance of fat. However, TAS2R38 is not the only genetic taste marker with a role to play in the obesity arena. Emerging evidence also identifies other genes that are adding to our understanding of how fat is perceived in the mouth and how that perception changes food choice. Using modern behavioral methods, individuals can be divided into three groups: nontasters, medium tasters, and supertasters. Supertasters perceive PROP and PTC to be extremely bitter, and they are the most likely to reject cruciferous vegetables such as broccoli, brussels sprouts, and kale. Among Caucasians, approximately 30 percent are nontasters, 40–50 percent are medium tasters, and 30 percent are supertasters. These percentages vary across different populations around the globe. The molecular genetics of PROP tasting have been ascribed to the TAS2R38 gene, which encodes a bitter taste receptor that binds a portion of the thiourea molecule. Three single-nucleotide changes, or polymorphisms, in the TAS2R38 gene give rise to two common genotypes: PAV (the sensitive form) and AVI (the insensitive form). The allelic combinations AVI/AVI, PAV/AVI and PAV/PAV correlate with nontasters, medium tasters, and supertasters, respectively, although there is some overlap between the latter two groups. 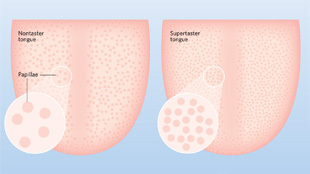 Until recently, the relationship between PROP supertasting and greater taste bud density was considered a chance association, because no genetic or physiological link was known to exist between these two variables. However, Iole Barbarossa’s laboratory at the University of Cagliari in Italy demonstrated in 2010 that supertasting is associated with a polymorphism in the gustin gene, which normally controls the production of the salivary enzyme carbonic anhydrase VI (CA6). CA6 is a metalloenzyme that functions using zinc, which it sequesters from the saliva. This enzyme plays a critical role in taste function and promotes taste bud formation during development. Barbarossa’s results showed that supertasters were more likely to have a polymorphism at the rs2274333 locus in gustin. This polymorphism was associated with full functionality of the CA6 protein as well as with normal salivary zinc levels. In contrast, nontasters were more likely to have a different sequence at this site, which appeared to disrupt the secondary structure of the CA6 protein so that it no could longer bind zinc, leading to high salivary zinc levels.[3. A. Padiglia et al., “Sensitivity to 6-n-propylthiouracil is associated with gustin (carbonic anhydrase VI) gene polymorphism, salivary zinc, and body mass index in humans” Am J Clin Nutr, 92:539-45, 2010.] It has been suggested that with a poorly functioning CA6, nontasters are likely to produce fewer taste buds during development, and the ones that are produced may be surrounded by fewer somatosensory neurons. Therefore, it appears that polymorphisms in at least two genes, TAS2R38 and gustin, contribute to the supertaster phenotype.[4. C. Calò et al., “Polymorphisms in TAS2R38 and the taste bud trophic factor, gustin gene co-operate in modulating PROP taste phenotype,” Physiol Behav, 104:1065-71, 2011.] These two genes together may also explain why this group of people experiences greater intensity from other different types of oral sensations. The observation that PROP nontasters are heavier than supertasters is not new. In their 1966 paper on food preferences, Fischer and colleagues noted that PTC tasters tended to be thin and angular, whereas nontasters tended to have more generous body proportions.[5. R. Fischer et al., “Gustatory chemoreception in man: multidisciplinary aspects and perspectives,” Perspect Biol Med, 9:549-77, 1966.] Despite this early recognition of an association between weight and taste, this notion lay dormant for several decades. We began to notice this same trend in studies we initiated in the late 1990s on taste preferences for fats. Following this lead, we discovered a robust relationship between body weight and the ability to taste PROP, especially in women.2,[6. B.J. Tepper et al., “Variation in the bitter-taste receptor gene TAS2R38, and adiposity in a genetically isolated population in Southern Italy,” Obesity, 16:2289-95, 2008.] Specifically, nontaster women measured several body mass index units (kg/m2) higher than supertaster women. However, other studies reported null findings for PROP taster status and body weight, and began to erode confidence in the hypothesis of an association between them.[7. A. Drewnowski et al., “Genetic sensitivity to 6-n-propylthiouracil has no influence on dietary patterns, body mass indexes, or plasma lipid profiles of women,” J Am Diet Assoc, 107:1340-48, 2007.],[8. N.J. Timpson et al., “TAS2R38 (phenylthiocarbamide) haplotypes, coronary heart disease traits, and eating behavior in the British Women’s Heart and Health Study,” Am J Clin Nutr, 81:1005-11, 2005.] Contributing to the skepticism was research that failed to show meaningful associations between TAS2R38 genotypes and body weight.8,[9. S. Sausenthaler et al., “Lack of relation between bitter taste receptor TAS2R38 and BMI in adults,” Obesity, 17:937-38; author reply 939, 2009.] However, because the PROP supertaster phenotype encompasses a number of genetic changes with anatomical differences such as taste bud density and somatosensory input, looking at the TAS2R38 gene alone will not reveal an association with weight. We think that a strong association between taste mechanics and weight will likely emerge as more genes that contribute to the phenotype are discovered. 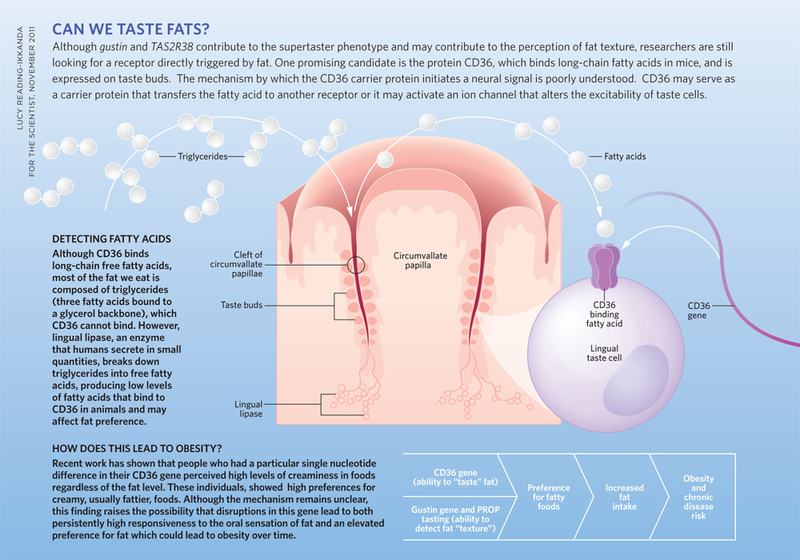 Infographic: Can We Taste Fats? Despite these provocative findings, the concept of an oral fat sensor in humans is not widely accepted. One argument is that dietary fats are composed almost exclusively of triglycerides, not free fatty acids. What is the significance of an oral mechanism for fatty acid perception when these molecules are not normally present in a free form in the foods we eat? We know that in rats the tongue releases copious amounts of lipase, an enzyme that rapidly hydrolyzes triglycerides to free fatty acids in the mouth. And although humans aren’t known to produce lingual lipase in high quantities, historical studies have reported that they can produce this enzyme. 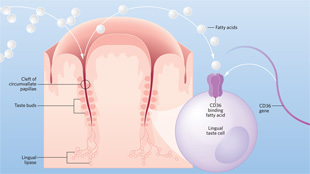 Indeed, the presence of fat in the mouth spurs the release of some lingual lipase, converting triglycerides into micromolar concentrations of free fatty acids—concentrations theoretically sufficient to depolarize taste neurons.12 Furthermore, research now shows that small amounts of free fatty acids are normally present in most dietary fats.11 These findings support the idea that fat could elicit an oral response in humans, as it does in animals, and a human fatty acid taste mechanism is plausible. If we assume that fatty acids can be “tasted,” then searching for the molecular mechanism(s) for detecting them is an obvious goal. One protein that may be involved is CD36, a fatty acid translocase that is expressed on a number of cell types throughout the body, from fat cells to immune cells and, of course, taste buds. 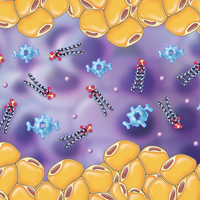 The protein is known to play a key role in transporting fatty acids across cell membranes, and animal studies have shown that knocking out the CD36 protein rendered animals unable to either detect or show a preference for linoleic acid, a polyunsaturated long-chain fatty acid.[13. F. Laugerette et al., “CD36 involvement in orosensory detection of dietary lipids, spontaneous fat preference, and digestive secretions,” J Clin Invest, 115:3177-84, 2005.],[14. N.A. Khan, P. Besnard, “Oro-sensory perception of dietary lipids: new insights into the fat taste transduction,” Biochim Biophys Acta, 1791:149-55, 2009.] Some polyunsaturated fatty acids are essential in the diets of rodents and humans. 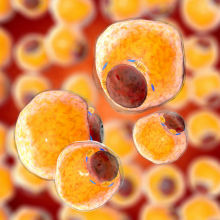 Thus, the existence of a mechanism capable of detecting this type of fat would have important nutritional significance. With such a promising candidate for detecting fat, the Keller laboratory investigated the relationship between differences in the genetic sequence of the CD36 gene and fat taste preference in 317 healthy adult African American males and females.[15. K.L. Keller et al., “Common variants in the CD36 gene are associated with oral fat perception, reported fat acceptance, and obesity in African-Americans,” Obesity, in press.] After study participants completed questionnaires on food preferences and intake of high- and low-fat foods, their body fat was measured, and they tasted and rated three samples of Italian salad dressings that ranged in fat-by-weight from 5 to 55 percent. Subjects rated their perception of fat content, oiliness, and creaminess on a standard scale used in such experiments. Participants were also genotyped at five polymorphisms in the CD36 gene. We surmised that if the CD36 gene is involved in fat preferences, we should observe a relationship between slight sequence differences in this gene and the degree to which the participants liked fat. Changes at one gene location (rs1761667) were related to both oral fat perception of the salad dressings and reported fat preferences. Participants who were homozygous for the minor allele at this site, approximately 21 percent of the group, perceived greater creaminess of all three dressings, compared to individuals who were either heterozygous or who lacked the minor allele altogether. In addition, homozygous individuals also reported a higher preference for added fats and oils (e.g. butters, oils, spreads, and salad dressings). In other words, those who gave all the samples high creaminess ratings, regardless of fat content, were more likely to gravitate toward fattier foods. Recent experiments in mice demonstrate that CD36 gene expression in taste buds is high at the start of feeding and progressively falls with satiation, a pattern that is consistent with the change in preference for fat across a meal.[16. C. Martin et al., “The lipid-sensor candidates CD36 and GPR120 are differentially regulated by dietary lipids in mouse taste buds: impact on spontaneous fat preference,” PLoS One, 6:e24014, 2011.] Thus, it is plausible that variation in the CD36 gene in humans is associated with disruption of this regulatory mechanism. This could explain why individuals with a sequence variant at rs1761667 showed increased preferences for fatty/creamy foods in light of high responsiveness to creaminess in salad dressings. Future studies will determine if individuals with this variant bind fatty acids less well. We hypothesized that individuals who have this polymorphism may be at risk for excess fat consumption because they persistently perceive fats to be creamier, an attribute generally thought of as positive when describing high-fat foods. Screening for this genotype may help researchers and physicians identify individuals at risk for future chronic health problems due to a high-fat diet. More research is needed to confirm these findings, however. The picture that is emerging from this research is that fats may be perceived in the mouth by a combination of taste and texture cues. The ability to detect the bitterness of PROP may serve as a marker for the ability to perceive the texture of fats through the density of taste buds and surrounding somatosensory nerve endings influenced by gustin and TAS2R38. Variation in this trait alters the preference for fat, which may predict the amount of fat consumed in the diet, and potentially, the risk for obesity. In contrast, CD36 may be a marker for long-chain fatty acid perception that might inform the body of the nutritional composition of fats. Imbalances in fatty acid composition of the diet may also have implications for the development of nutritional diseases. Based on the animal literature and on our studies, it seems likely that there are multiple, overlapping mechanisms for oral fat detection that provide an array of information about the quantity and composition of fats in the foods we eat. 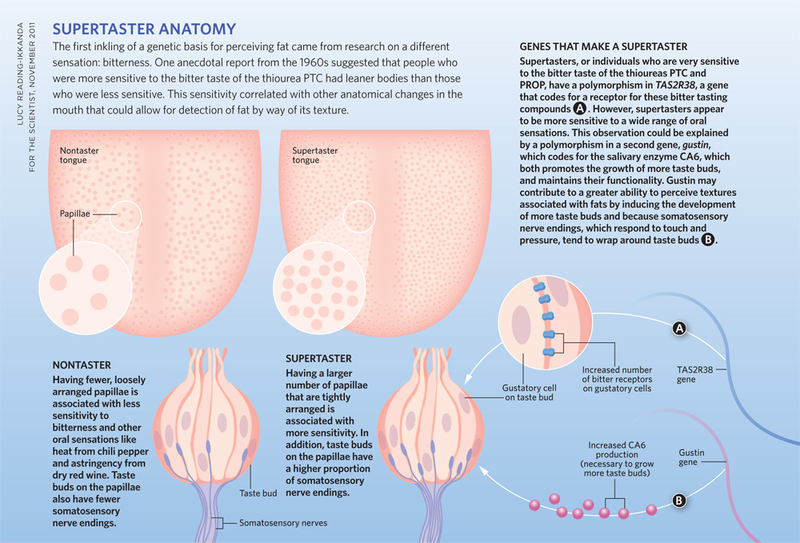 Future studies will reveal the roles of these receptors and their underlying genes in humans. Beverly J. Tepper is a professor in the Department of Food Science at Rutgers University, where she directs the Sensory Evaluation Laboratory. Kathleen L. Keller is at the New York Obesity Research Center and Columbia University College of Physicians and Surgeons, and will soon join the department of nutritional sciences at Pennsylvania State University.